A long distance jaunt south took us to Charleston, SC (the oldest and largest city in South Carolina) where we had reservations at the East Bay Meeting House for Afternoon Tea. Located in the heart of the French Quarter of this historic town, the East Bay Meeting House offers lunch and dinner, and during the off peak hours of 4 - 7, they provide Afternoon Tea by advance reservation. Elegant place settings provided a hint of what was to come. The tea tray was situated in the center of the table prior to our arrival, wrapped in paper towels to keep the sandwiches fresh. Once we sat down, the paper towel draping was removed to display the array of tea time treats garnished with flowers and a variety of fresh green leaves. Our hostess offered an assortment of tea selections from Mighty Leaf tea. Individual little tea pots, with the tea bag steeping, were brought to each guest. Our choices ranged from a white tea, to Bombay Chai, to English Breakfast. The tiered tray had a wide variety of sandwiches on the bottom tier, each one as tasty asa the previous one. The middle tier held a slice of rum cake, a layered chocolate cake, and a sugar cookie while the top tier held orange scones with cream and jelly. We savored each bite, enjoyed gathering at this location with family, and would certainly return if we were in the area again. Here's another little peek at the very decidedly very British decor found in Tillymint's Tea Room in Souderton, PA. From a beautiful collection of English bone china tea pots, very stylish Sadler tea pots with a literary theme to a small homage to Yorkshire Tea, the second most popular tea brand in England, this tea room shouts We Love England, We Love Tea! Above, a private collection of all things British including celebratory china for a variety of royal weddings. Below, the Union Jack flag bunting is so typical of British locales, and who doesn't love Harrods? Everywhere you turn, there is something representative of Britain. Including a hedgehog collection in the powder room! Birthday's Come and Birthday's Go! August included a birthday celebration, and a visit to Tilly Mint's Tea Room in Souderton, PA was the location for said celebration. We thoroughly enjoyed the wide variety of tea pots that are used in the tea room. Fresh salad greens, a warm tomato savory with fresh rosemary garnish started our tea time experience. scones, and festive dessert. The sandwiches were all quite tasty, from cucumber round with fresh dill sprigs, to tiny lady bug sandwich with tomato wings and black olive head, cheese and chutney, to a watermelon and feta bruschetta, each bite was flavorful. The cream, curd, and jelly were served in petite teacups from a child's tea service. Desserts were plentiful, yummy, colorful and tasty! A miniature creme brulee with the blackberry was a favorite with that glazed sugar crust on top. In addition to the special birthday plate and napkin, a little plate with a birthday candle was served to the guest of honor. On the plate was an individual teabag of tea to enjoy later, at home. What a fun touch. Tilly Mint's Tea Room is located at 20 W. Chestnut Street, Souderton, PA.
A family excursion this summer took us through NJ. Having read about the Bon Appetit Tea House in TeaTime Magazine, I knew the expressway we would be traveling would take us right past the Mahwah exit, so reservations were made for a Sunday Afternoon Tea. Located at 180 Franklin Turnpike in Mahwah, this establishment has a tea house on one side and a French bakery and cafe on the other. There was a certain elegance and European flair to the dining room with linens, lace, elaborate floral arrangements, comfy chairs, and glitzy chandeliers. With a range of different options from the Lady Anne tea, the Victorian Tea, the Queen Tea, and the Royal Tea, we selected the Royal Tea. Little warmers kept the pots of tea at just the right temperature. A fresh salad with a warm savory was presented first. The three tiered tray held an assortment of finger sandwiches, chicken salad, egg salad, turkey and cheese. Their signature scones were on the middle tier and the toppings were plated in petite mix and match vintage china. An array of desserts completed the top tier, macarons from their bakery, chocolate cake, and more chocolate sweets. Tea, savories and sweets to nourish as we began our jaunt towards the final destination. It offered a lovely interlude as we traveled north for a short family visit with our NY sister, her husband, and their precious granddaughters. October! What happened to September? A whirlwind of a month, September quickly transitioned into October, as if in the blink of an eye. September is the month of festivals in our little part of the world. 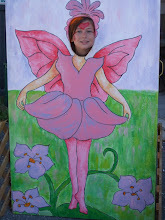 The month begins with our Annual Fairy Festival, its 27th year. The fairies flitted and fluttered about, in the gardens and in the back alley. We played and laughed and danced and tossed glitter. Saturday was the perfect day, Sunday was a very rainy day. Nevertheless, we had fun. And the last weekend of September, we celebrated the Camellia sinensis plant with all things tea at our 2nd Annual PA Tea Festival. As if on command, our humble little QVC mail order tea plant sprang forth in blossom for the festival. A row of tents lined Rosemary Alley and vendors from NJ, PA, and MD sold their tea wares to crowds of tea enthusiasts. Sweet Remembrances served Afternoon Tea both in the tea room and in the gardens, pushing the waitstaff to their limit! At the peak lunch hour, every table was filled, both inside and out. A real challenge for the staff, Claudette and Lori deserve a hearty kudos for all their hard work. Jillian and Cedar, too.